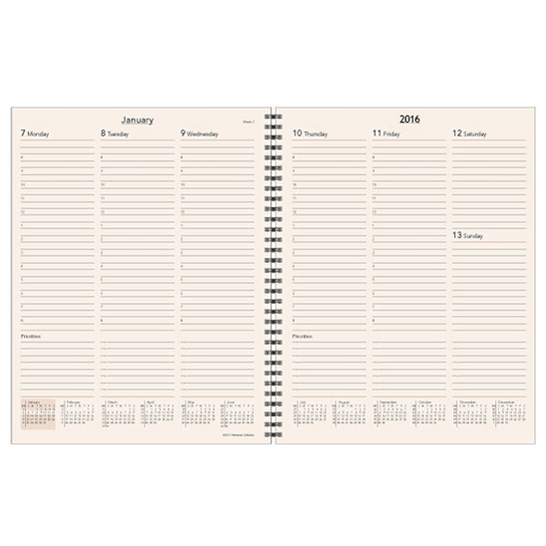 2020 Planner Refills, Refill Pages, Planner Inserts. 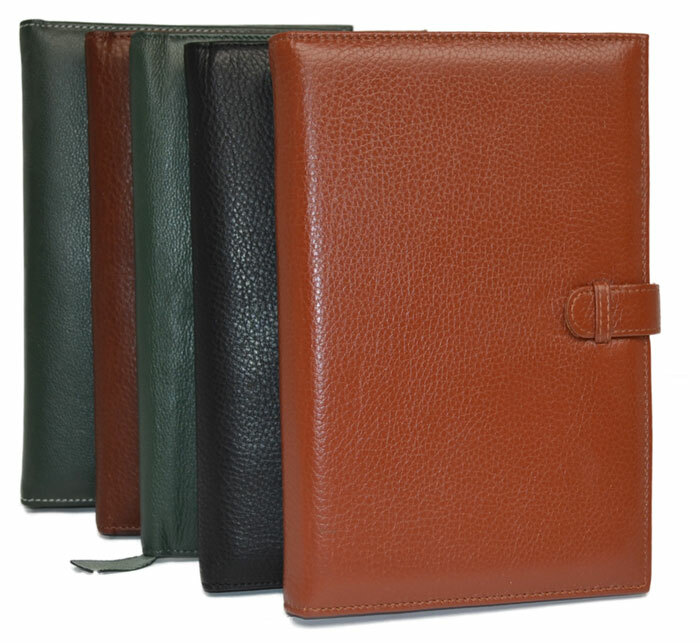 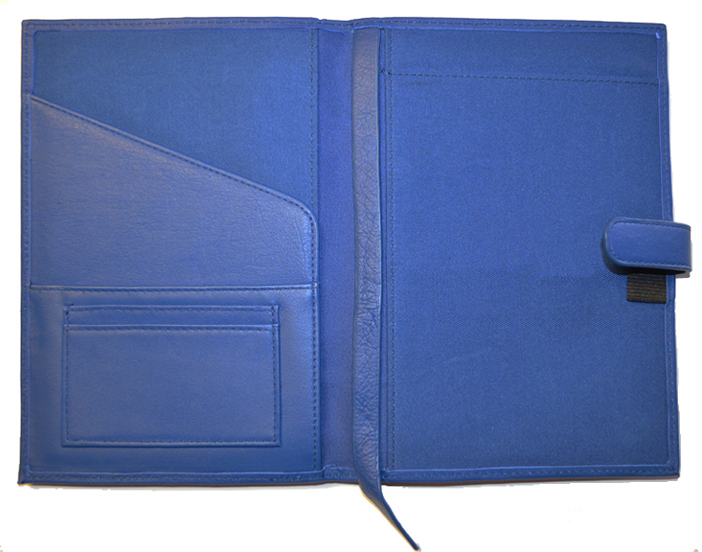 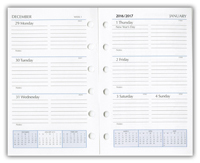 Features 1 week per 2 page spread, appointment times with 15 minute intervals, 128 bright white pages. 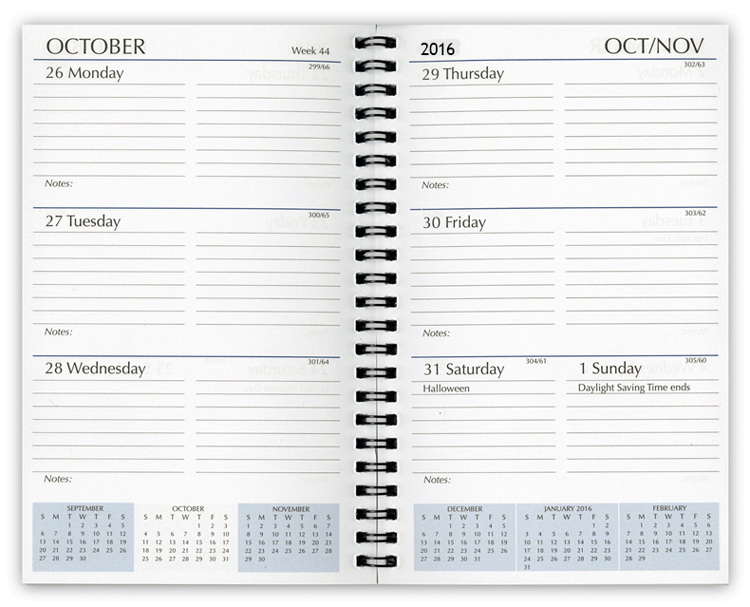 View weekly appointments. 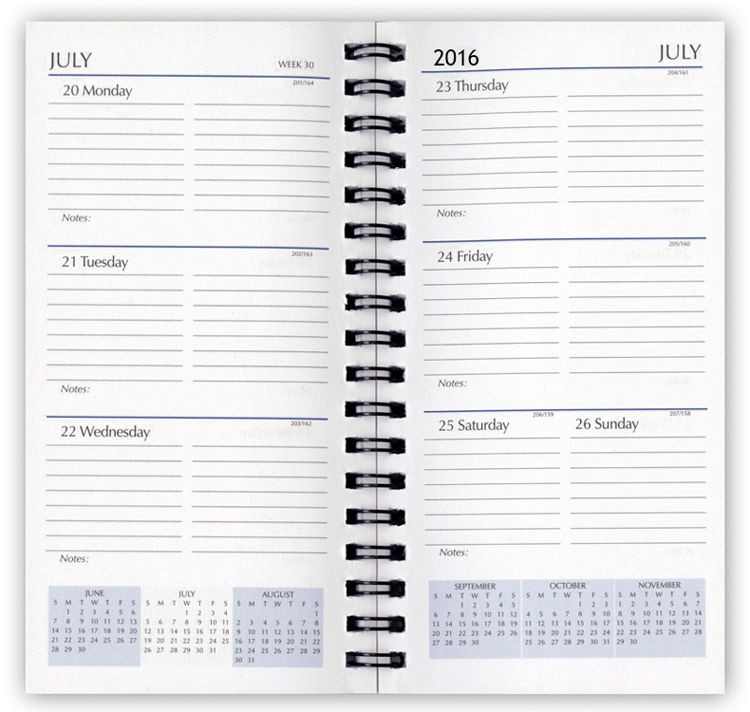 52 Weeks, 2019 Calendar Year including holidays and special information pages. 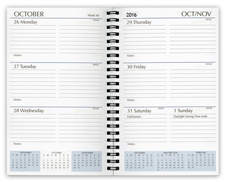 Daily Page format. 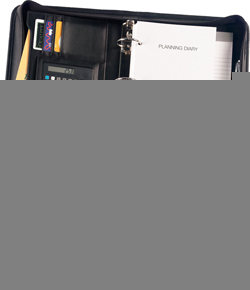 Special information pages offering: Personal information, 3 Year-at-a-View, Advance Planning, Important Dates, International Dialing, USA Area Codes and Time Zones Map. 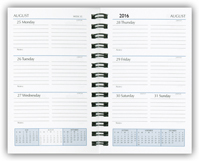 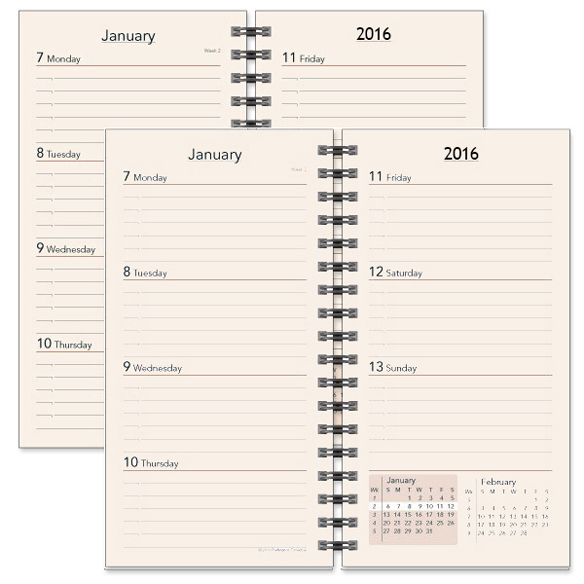 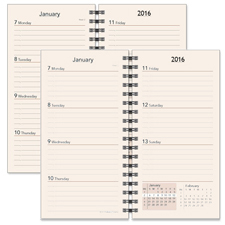 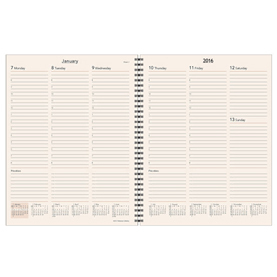 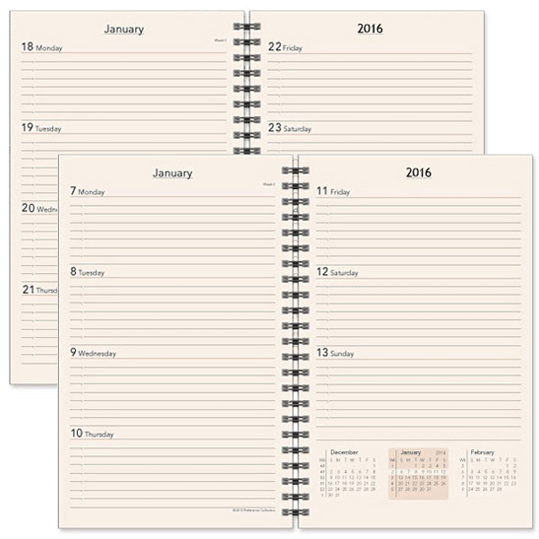 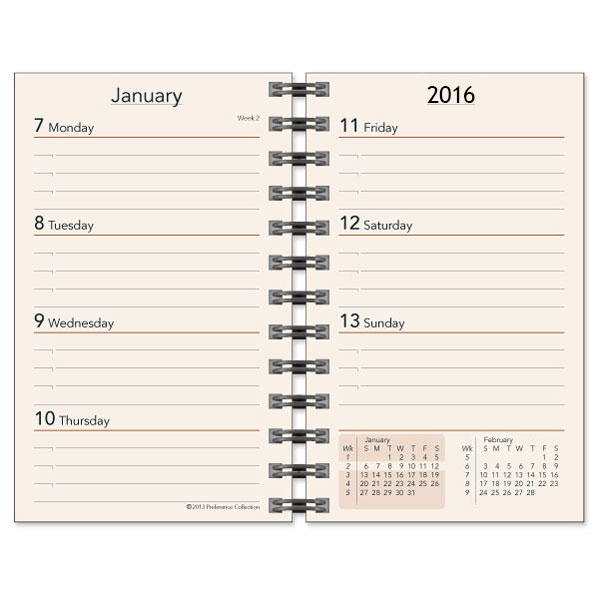 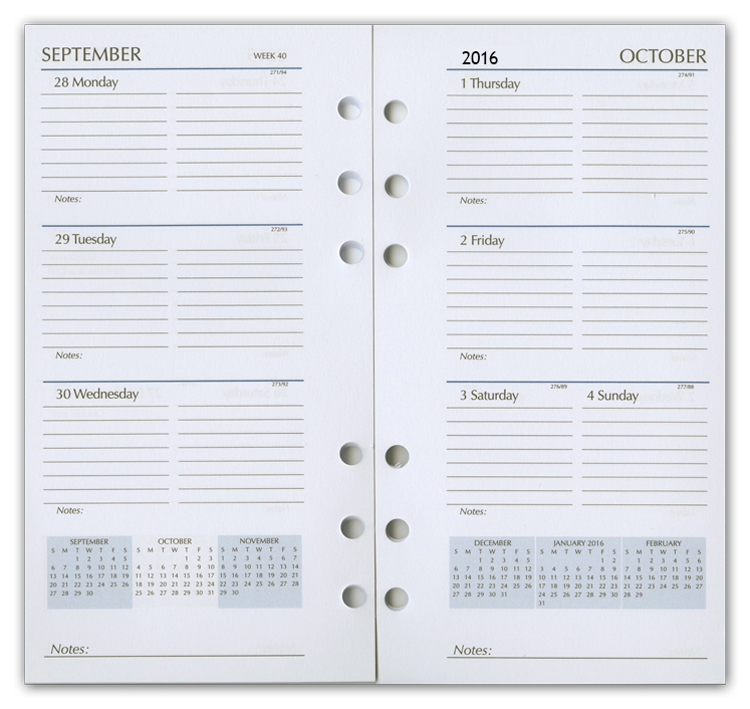 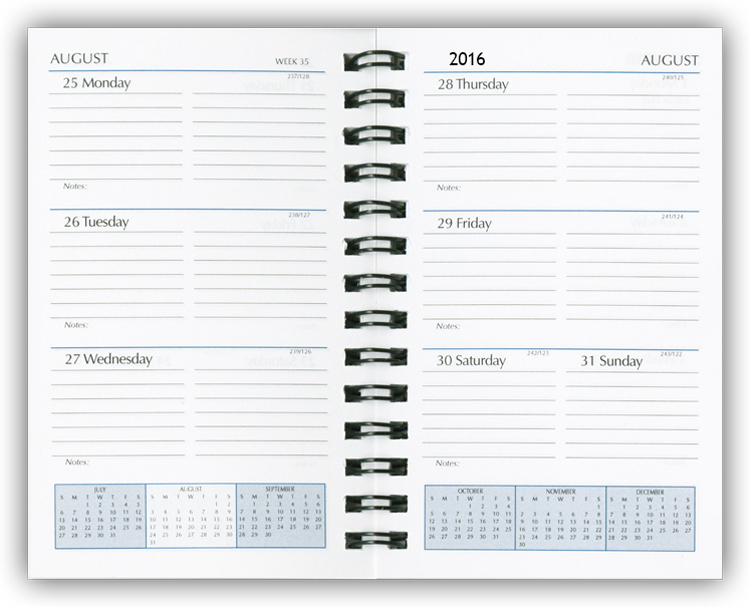 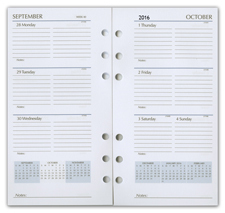 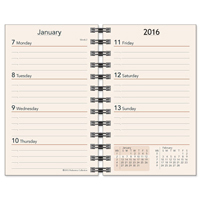 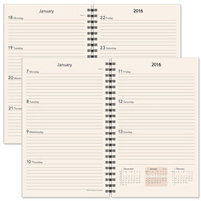 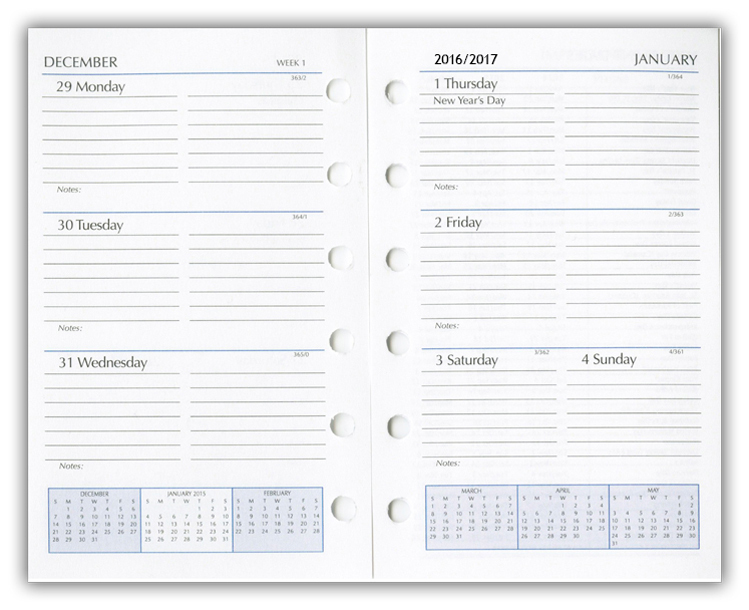 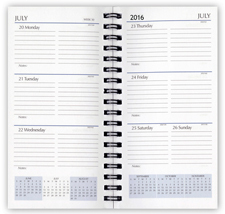 Calendar Refill Only - without 96 page section. 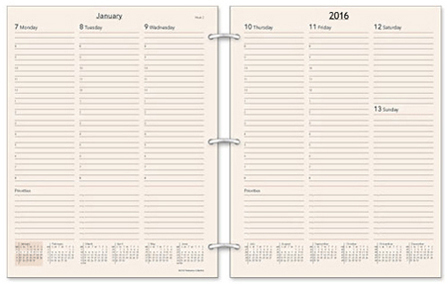 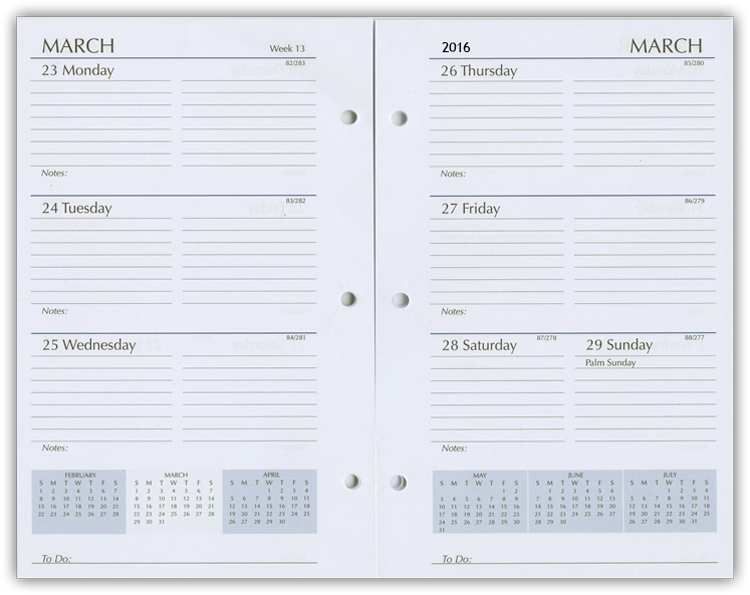 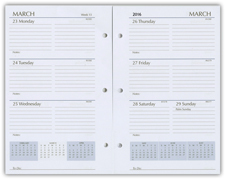 Page format is the same as the calendar on the left, 7 hole image is for hole spacing.